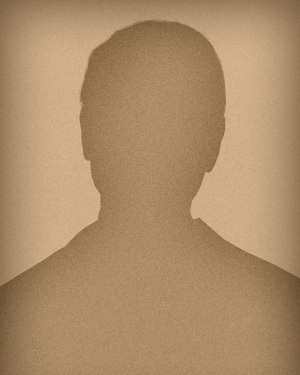 The first line of the Commentary to Canon 4 of the Code of Conduct for United States Judges states, “Complete separation of a judge from extrajudicial activities is neither possible nor wise; a judge should not become isolated from the society in which the judge lives.” To that end, judges are encouraged to participate in bar associations and other organizations “dedicated to the law.” Echoing that sentiment Judge Harry T. Edwards, Senior Judge for the Court of Appeals for the D.C. Circuit, once complained that “the life of a judge sometimes approaches monasticism.” Harry T. Edwards, The Role of a Judge in Modern Society: Some Reflections on Current Practice in Federal Appellate Adjudication, 32 Clev. St. L. Rev. 385, 409 (1983–84). Judge Edwards argued that judges have a duty to involve themselves in the world, concluding, “If he is to continue developing as a person after he comes on the bench — and if he is to decide cases as well as he is able — he should maintain a diverse group of friends, travel widely, give speeches (that do not engage political disputes or improperly pertain to matters before the court), and seek out opportunities for exchanges of ideas.” Id. at 409. Mississippi’s federal judges have, historically, participated in functions sponsored by the Mississippi Bar, Mississippi’s chapters of the Federal Bar Association, American Inns of Court, and local Bar organizations. One local program that has been particularly successful has been the Lunch and Learn meeting in the Jackson courthouse. Judge Reeves recently spoke at the third program in this series. As was the case with earlier sessions, the list of participants filled quickly from members of CABA and the FBA, and the Court’s conference room was packed. Judge Jordan will conduct the next session. Another program in its initial phase involves the student chapter of the FBA at Mississippi College School of Law. In April, a group of students came to the courthouse for a tour and a lunch with Chief Judge Guirola, and the program is expected to continue in the fall semester. Judges from the Northern and Southern Districts of Mississippi also attended this year’s Annual Meeting in Sandestin. Arthur Johnston, Clerk of the Southern District, and David Crews, Clerk of the Northern District, put together a memorable agenda. The Judges did not come alone, but brought two notable guests: Fifth Circuit Chief Judge Carl Stewart, and Captain Fred Haise, a former astronaut who flew on NASA’s Apollo 13 mission. Captain Haise served as the speaker for the General Assembly Thursday morning, and he gave his presentation to a packed house. Judge Stewart’s participation was more low-key, but equally rewarding. 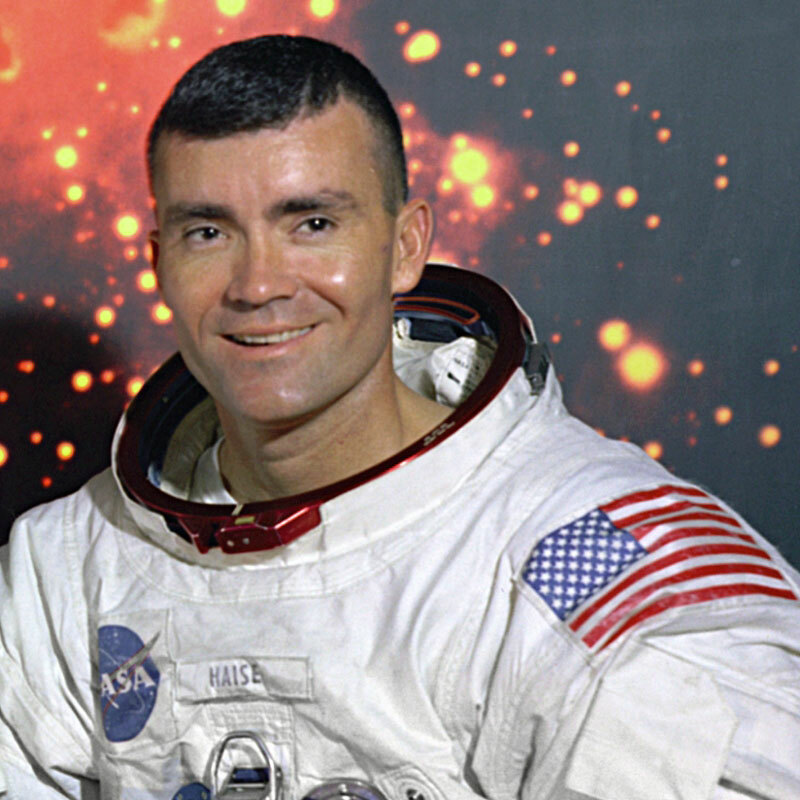 Captain Fred Haise, pictured above. Arthur announced Captain Haise’s visit to me last spring, when he asked me whether I would be willing to “chauffeur” him to and from the airport. The request that I serve in this capacity was puzzling, until I realized that it might have something to do with my car. A 2010 Honda Fit with a 5-speed manual transmission was the vehicle most likely to remind the Captain of the Lunar Module. Unfortunately, the car’s 4-cylinder engine prevented the air conditioner from getting the vehicle cold enough to make him feel at home. Captain Haise practically bounced into the baggage area, at a pace that belied his 82 years, and refused an offer to carry his bag. The next morning, he was downstairs before the appointed time (he was a Marine fighter pilot, after all), totally squared away and ready to talk. The astronauts were not quite as stoic after the explosion as the movie portrayed; it was just that the many unprecedented tasks that had to be performed kept them occupied. Haise, in particular, had to get into the lunar module and power it up much more quickly than had ever been done, so he didn’t have time to think about anything else. Haise is unhappy with the amount of profanity in the movie (I can’t remember that there was that much). He says he has listened to the tapes of the conversations, and Lovell says “hell” once. Gene Kranz is actually a composite of the four flight directors, although he was the overall boss. There was a team for each 8-hour shift, plus a floating team. The explosion occurred at the end of the shift before Kranz’s, so his team was the first to work on it. The conversations between the ground crew and the space crew are public record. The conversations between ground crew personnel are not. Haise didn’t get a chance to listen to those until about 20 years after the mission, and he said that was when he realized how much trouble they had actually been in. The Apollo 13 crew holds the record for being farther away from the earth than any other humans (that we know of). That was partly due to the location of the moon in its orbit during the mission, and partly due to the trajectory they had to take around it. The scene where the crew members rip off their monitoring probes didn’t happen; that system had been powered down early on, and NASA wasn’t getting any biometrics from the crew. Because they didn’t have any hot water, the dry food stored on the craft was unusable. Lovell had smuggled some food on board (hot dogs and whatnot), and that’s what they ate. Apollo 13’s splashdown was the second most accurate in NASA history. It had gotten so cold on board the Odyssey that blocks of ice were found in it after recovery. Afterward, and at every subsequent function, Captain Haise was unfailingly gracious, posing for long stretches with every child (and parent) who wanted to have a picture taken with him. Judge Stewart arrived Thursday afternoon, incredulous at having made a business trip without travel problems, and cautiously optimistic that he would be simply a guest at this meeting, without being asked to give an impromptu talk. He and Captain Haise were the guests of honor at a reception and dinner Thursday night. Judge Stewart also attended a breakfast Friday morning hosted by both District Courts for all of the attendees of the Annual Meeting. His luck held on one point — he was never asked to give a speech. Unfortunately, his traveling luck ran out. His flight from Florida was delayed by maintenance issues; he missed his connection in Atlanta; and he didn’t get back to Shreveport until almost midnight. Nonetheless, Judge Stewart reported that he had a wonderful time, and he was most impressed by the hospitality of the Mississippi Bar. On October 30, the Northern District will sponsor its annual Bench and Bar CLE Seminar, to be held in Oxford at The Inn at Ole Miss Hotel and Conference Center. The theme of this year’s Conference is “The Rule of Law.” The Southern District’s next Lunch & Learn will be held in November; the exact date will be announced later.